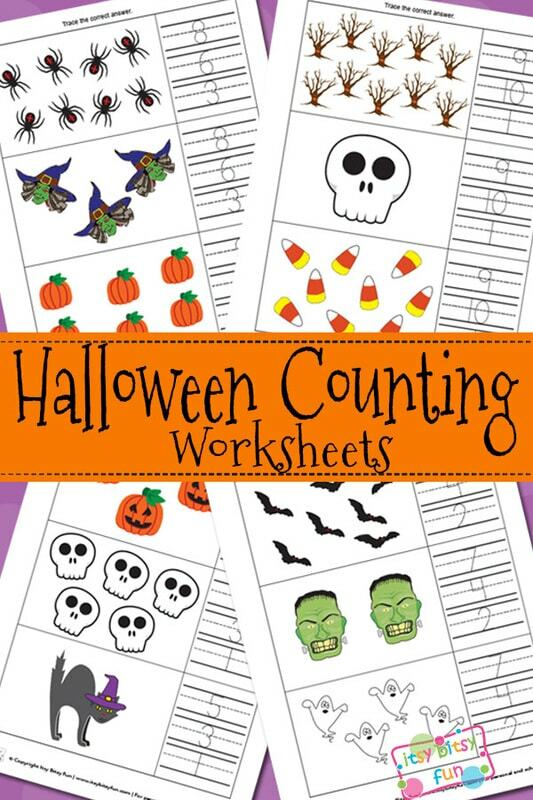 Before mastering math kids need to master counting and writing numbers and these Halloween Counting Worksheets should make it more fun! These will also help them get started with writing numbers as they have to trace the correct answer. When they are done with these Halloween color by number worksheets are also great for having fun with numbers! Many fun and spooky ways to learn the numbers as you can see! This printable pack includes 4 pages. On each of these pages there are 3 rows and each has two columns. 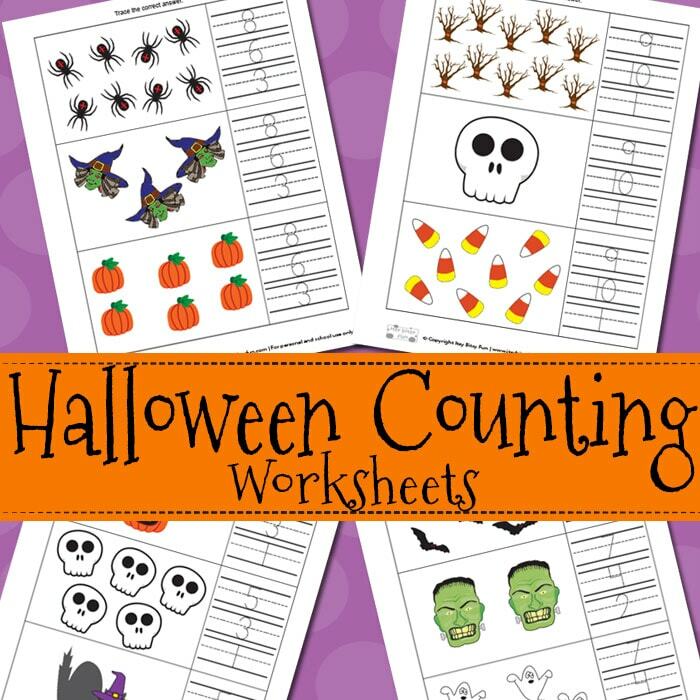 Get these free Halloween Counting Math Worksheets here. If your kids love counting and can already write down their numbers do check the pumpkin math printables as they have simple addition graphic “equations” kids can solve with counting. Also check the Halloween file folder games as they are sure to make learning more fun.